6' shock absorbing web lanyard w/pack, #74N locking snap one end, #69N snap (1 3/4" opening) other end. 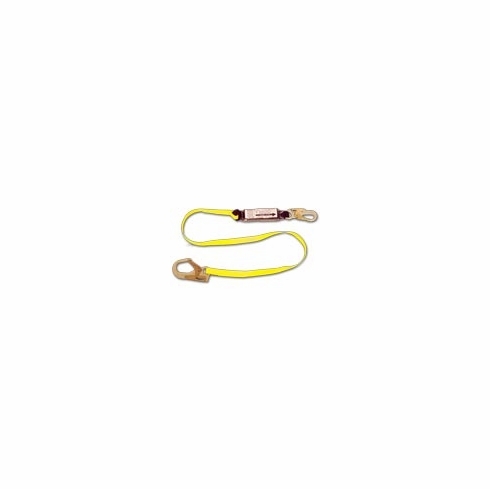 FrenchCreek shock absorbing web lanyards are extremely versatile. They are constructed of rugged, durable, high quality 1" synthetic webbing. The shock absorbing device comes in the form of a pack on one end of the lanyard that attaches to the back D-ring on a full body harness. Please inquire about snap hook combinations that may not be listed or pictured, or for lengths other than the standard 6'. To order "Z SERIES" compatible products, simply add a 'Z' to the end of the product # in which you are ordering.